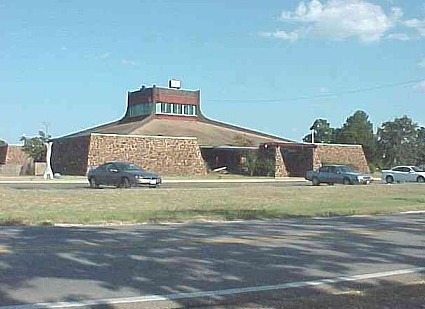 Tahitian Village is located in the Lost Pines of Texas. 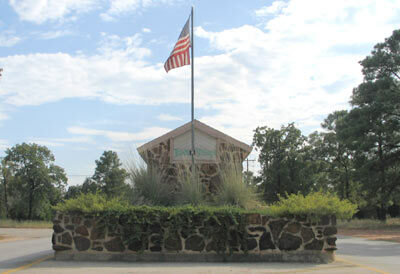 Part of the village is located in the Bastrop city limits and part of it outside. It is bordered by the Colorado River. It is noted for its rolling hills, beautiful scenery and homes. It has an outstanding 18 hole golf course and nine tennis courts (5 of which are lighted). There is a Clubhouse which includes a restaurant. For more information about Tahitian Village, visit http://www.tahitianvillage.com. Note: the entrance was recently changed and the guardhouse no longer exists. 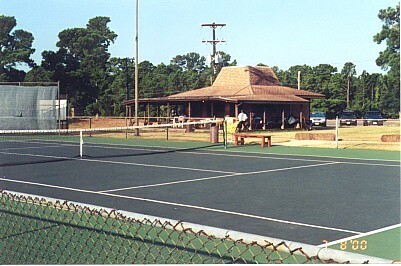 View of one of the nine tennis courts and the Pro Shop.